At This Time I will not be updating for BFA. 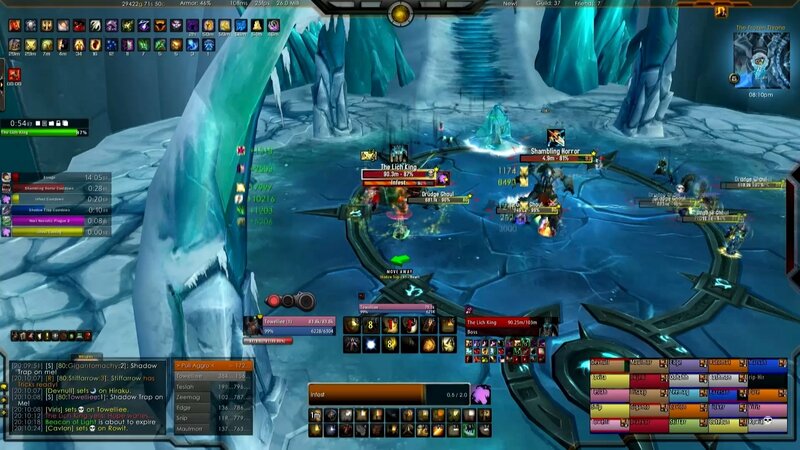 Moving to a similar layout using ElvUI. My UI is a mix of LUI http://www.wowlui.com and other addons. But mainly credit goes out to Loui. I been using LUI since it came out and I have never looked back. As much as I tried to see if there was something better out there, there never was(list of addons in this pack at the bottom). * fixed LUI UPDATE button not showing up after Hammers UP! * removed TabFix, no longer working. * Fixed several alignments and positions. * The usual all addon updated to latest versions available. * Fixed TidyPlates_ThreatPlates not being default due to tidy plates changes. * just a release with updated Addons to save users the Curse Client Update. * Toon setup tool is now a separate download. * Updated WeakAuras to include Towelliee's paladin Auras(can use update option in installer to just update this for toons setup in previous release)!!! * Updated all addons to latest versions available. * Now includes a toon setup "installer" Towelliee.exe in the root wow folder. * changed the profile loader ingame to just show 1 button that says HAMMERS UP!!! New Year, New Version, and quite some changes. *Changed install to use class detection due to difference between monk layout and other classes. *Monk SUF player unit changed, energy bar removed. *Weak Auras added with Monk auras and bars. *Hermes is now included in the pack. *ReforgeLite now included in the pack. *Updated UI components with official releases. class spells and abilities(if something is missing post in comments). *Fatality sound is muted by default. Upgraded to Power Auras 5 with included Monk and Paladin Auras. removed AddonChatMessageHider due to issues it was causing. 9/24/2012 - 2.0.5 - MoP release version, did tests on MoP Beta. Updated addons to latest versions. Fixed oRA3 to have some Monk support. it will use the standard Name - Server profile naming. Made it to not force Towelliee's color theme by default, it will load you class color theme. Updated PowerAuras with latest "official" version. 9/10/2012 - 2.0.4 - Update LUI to r520, updated several other addons to latest version. All characters now use LUI-Towelliee profile and not a copy of it. Removed Scale of Life Tracker and cError addons. 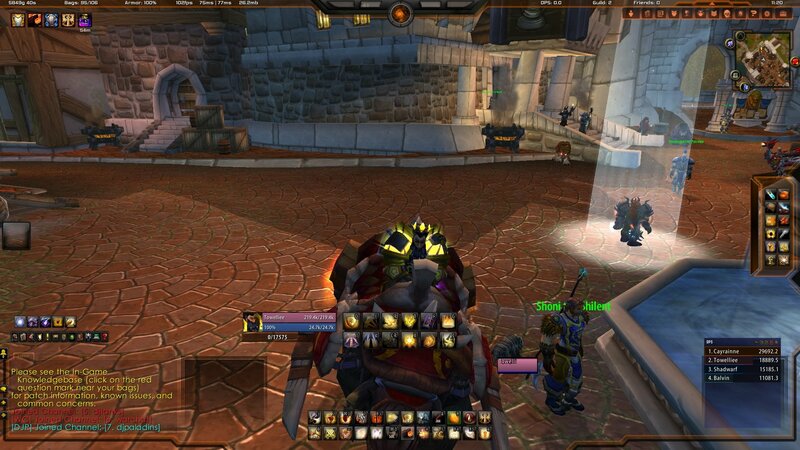 Due to blizzard code change, making _ a global variable, a lot of addons will cause the Glyph UI issue. 9/5/2012 - 2.0.2.1 - hotfix for realID issues in LUI and PRAT. Power Auras v4 is back with a fan update, with it all of Towelliee's pre-made auras. Fixed some of the lower section frame position and allignment. 8/29/2012 - 2.0.1 - Several more fixes and updates for addons. config.wtf fix, only includes entries relevant for the UI. 8/28/2012 - 2.0 - Updated and fixed several of the addons for 5.0.4 support. Well I updated the newest LUI files as well as a few new additions like Big Wigs and Addon Control Panel. I just reinstalled this up and after hitting hammers up the lui will not update. Have to disable lui and getting message bout too many errors. I followed instructions and still having issues. This freaking frustrating already! I`m having the same problems. I can`t use dropdowns or tabs. Someone, please help! Ok, I just disabled all the addons and start to enable one by one, it seems that Masque is the problem. Once I enabled i couldn`t click the dropdown menus and switch between tabs. I think I may have found the problem. I have the twitch app(used to be the curse app), which stores all the addons that you have. After I installed the addon pack, I updated all the addons. The thing is, my wow folder is not on C: and by default the twitch app updates the wow folder in C:. So I simply switch between wow profiles in the twitch dropdown menu, which is at the top right corner, right under your account name. After that, I chose the current wow folder path and update the addons. I also disabled the bagbrother addon and installed the bagnon. i instal this UI Realy like it but i see that DBM is not the same setup how can i have the same setup like towelliee ? I recently installed the addons pack, but that little circle appears to me that I do not know how to remove it, someone could tell me how I can remove it and what addons it is? So I followed all steps from Toweelie and everything is working fine except weakaura 2 I cannot import anything because /wa command is not working i don't know what blocks the command or why it doesn't do anything can anyone help me ?! This is no wheres near what Towelliees UI looks like. Last edited by Ajhccwrs : 08-23-17 at 11:13 PM. I don't get the update icon either. I've followed the instructions and at the point where I need to click "Update" after i click "Hammers up" Update is not there. Its only Install and that wipes everything out. No way around it. Any help would be appreciated. Should replace after pressing "hummer up" on "update" but it steel "install"